The CV-5000S Computerized Vision Tester offers all the hottest features in automatic refraction. 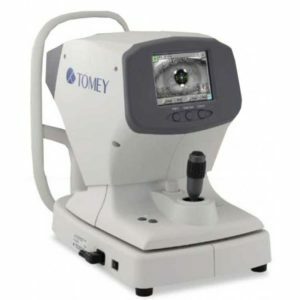 It sports a top speed lens space, small optical head and a one-dial controller with a large color LCD touchscreen. CV-5000S Automated Vision Tester sets new quality standards. 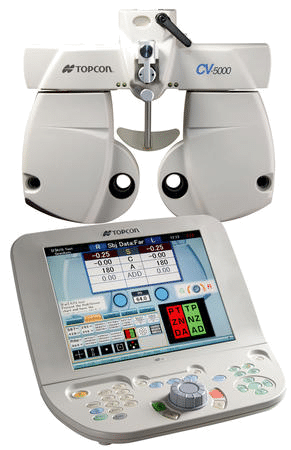 The fast lens rotation provides comfort for the patient and user while the streamlined and modern design enhances the doctor’s professional image. 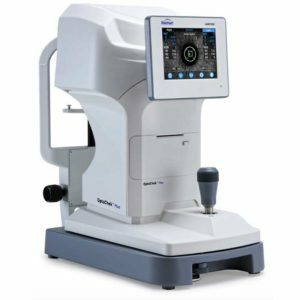 The CV-5000S provides a full 21-point refraction and features the KB-50S One Dial Controller with a 10.4″ color touchscreen screen. Complete connectivity permits data to be routed automatically to every CV system throughout the office and populated automatically into the EMR, which makes paperless refraction a fact. 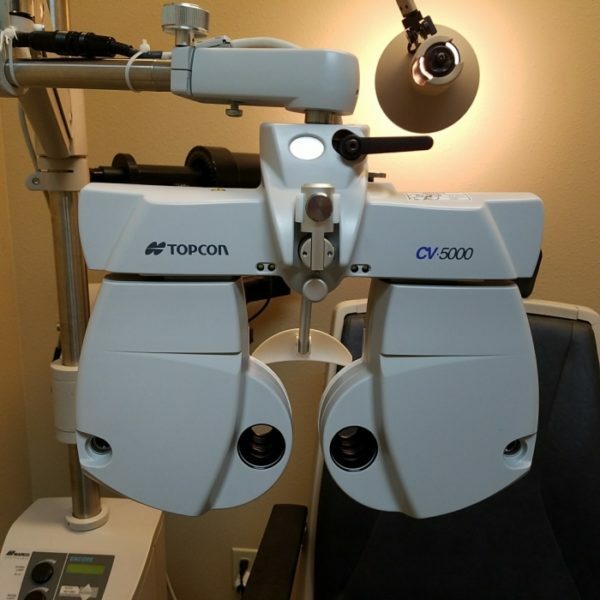 The Topcon CV-5000S Automated Vision Tester includes a top speed lens chamber, a small optical head to boost patient communication and relaxation, and can record a whole 21 point of refraction. It provides comfort for both user and patient while the contemporary design refines the clinic’s aesthetic. Automatic data input signal from pre-test instruments and complete connectivity with every CV system in the office makes paperless refraction a reality. 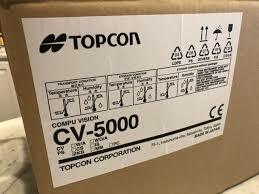 Topcon’s CV-5000 provides three interfaces for operation. The 1st option is the 1 dial controller KB-50S utilizing a large 10.4-inch color LCD touchscreen. The 2nd and 3rd options allow you to load the controller software on your PC or the PC integrated into the CV-5000PRO power supply giving you full control of the CV-5000PRO with the PC mouse. 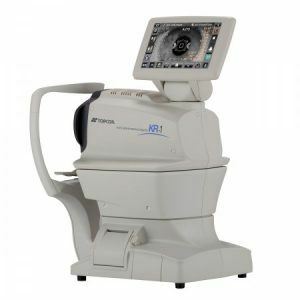 The CV-5000’s automatic phoropter head also provides fast lens rotation for the user and patient comfort. Compact and contemporary design contributes to a professional image.